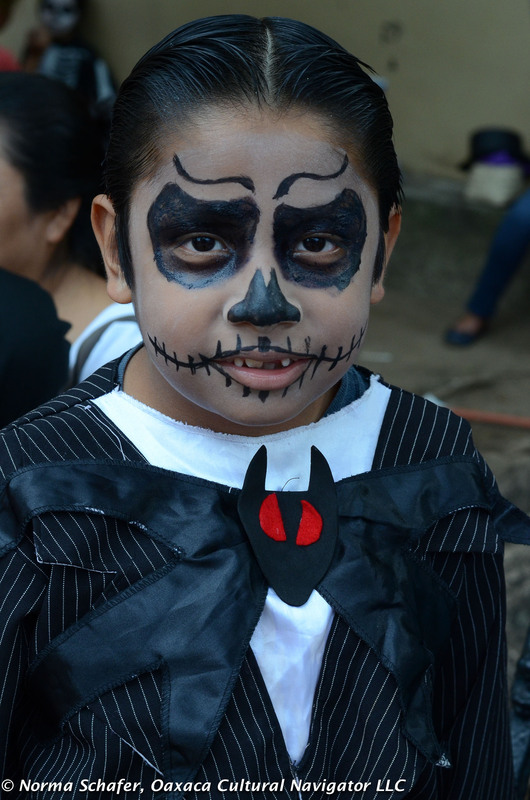 Children fully take part in Day of the Dead here in Oaxaca, Mexico, too. They are an important part of the ritual and celebration. They go with family members to sit vigil by grave sites regardless of age. Death is an integral part of life here and not to be feared. 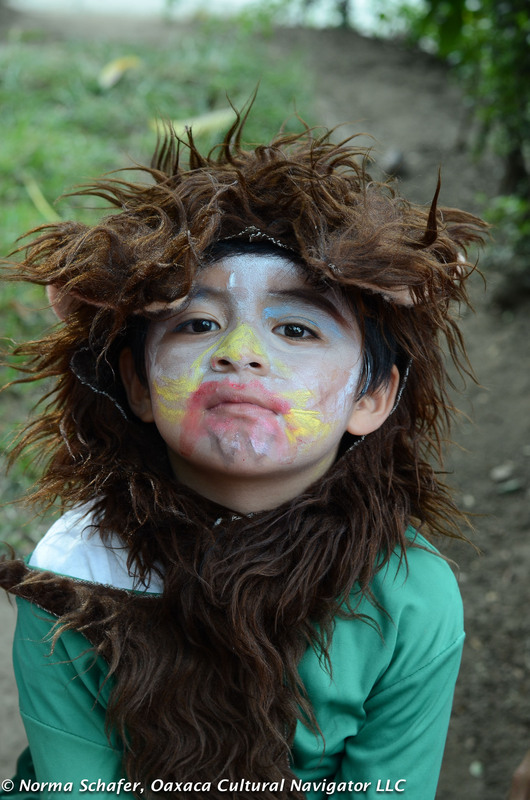 On October 30 a children’s procession is held along the Andador Macedonio Alcala to honor the souls of the young ones who left this world too soon. 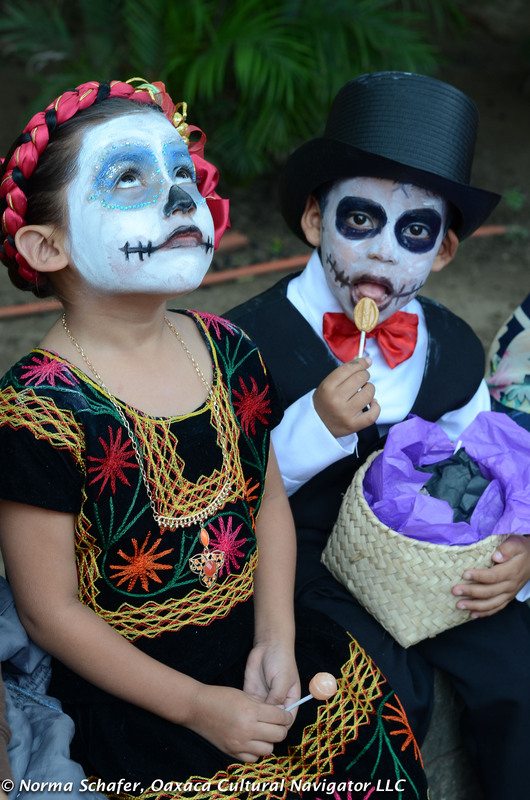 Count Dracula and La Calavera Catrina are popular figures for costumes. I came across a group of five-year olds, their parents and grandparents, assembled in a city square waiting for the procession to begin. They were all from the same class at the same school. One grandparent made certain to tell me that they made the little one’s costume all from crepe paper. It was very elegant and disposable. Some of the costumes are handmade. Others are store-bought and similar to what we might see on Halloween in the USA. 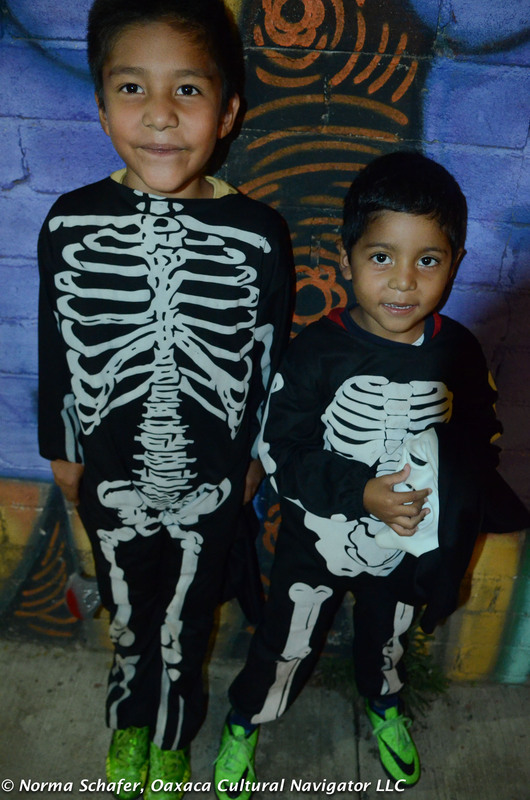 Without a doubt, watching the children is a real treat and part of the allure of being here in Oaxaca on Day of the Dead. And, doesn’t this one say it all! 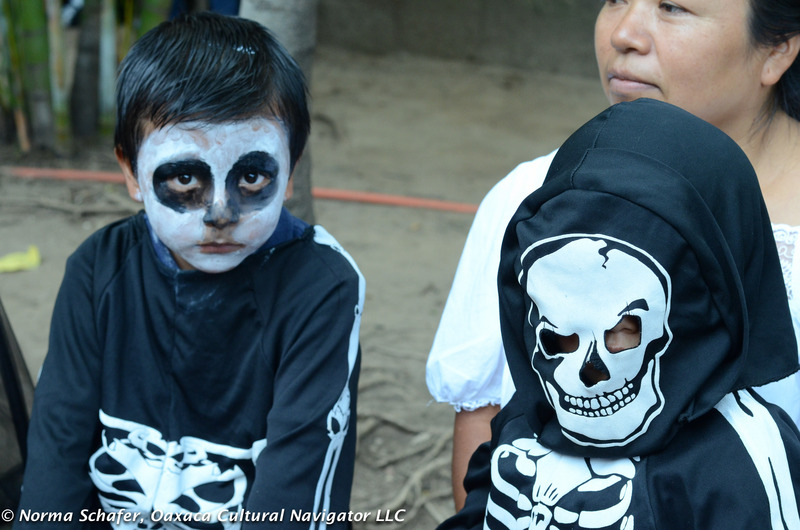 This entry was posted in Cultural Commentary, Travel & Tourism and tagged children, day of the dead, death, dia de los muertos, Oaxaca, parades, photographs. Bookmark the permalink. Great pictures! 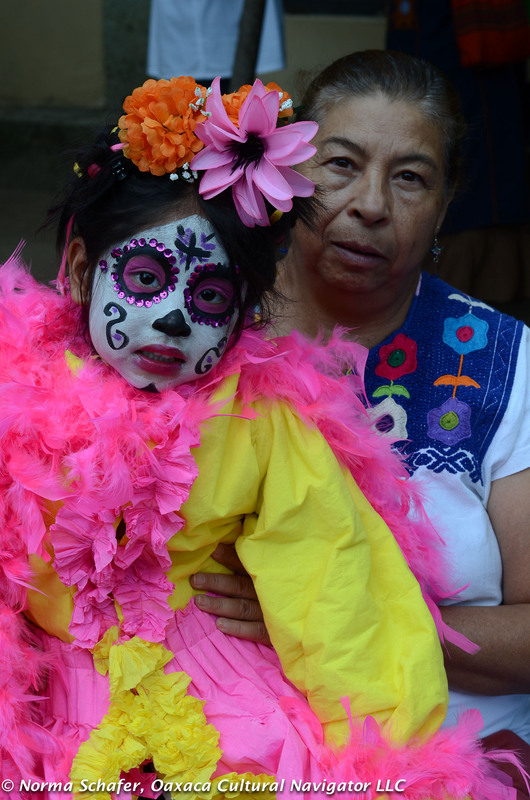 There are clearly very few bad times to visit Oaxaca, but one of the great times is during the Day of the Dead celebrations. Or so I’ve heard. It seems late November is about the only time I can get away from NC to visit Oaxaca, but hopefully I can schedule something a few weeks earlier next time I visit. Hi, Mark. 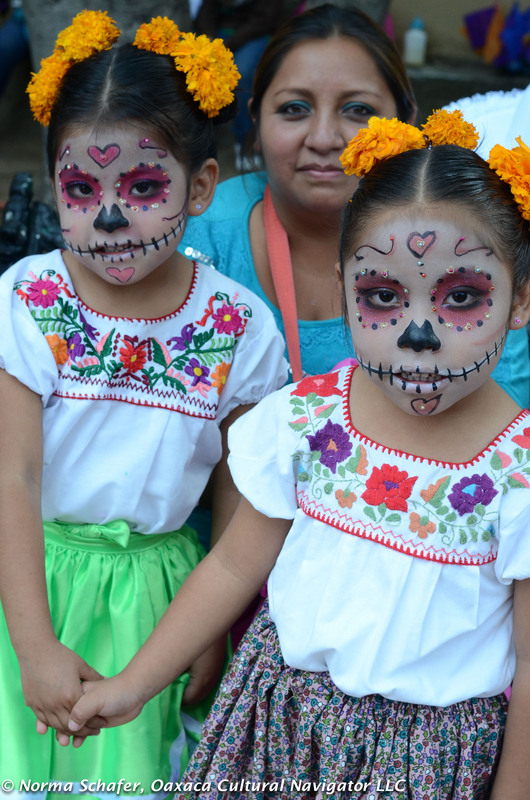 Yes, Day of the Dead is a wonderful time to visit, arriving no later than October 30 and leaving no earlier than November 4. That’s my recommendation. Great photos and blogs Norma. Thanks Norma, loved the photos, and the text as well. Wonderful and sensitive. Hi, Jo Ann. Thanks so much. You are one of my best fans! On the airplane to San Jose. Will arrive late tonight. Let’s stay in touch by email. Blog posts will stop for a while.